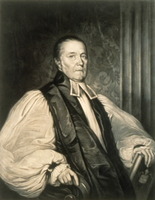 JENKINS, WILLIAM, Presbyterian clergyman; b. 26 Sept. 1779 in Kirriemuir, Scotland; m. Jane Forrest in Scotland; m. secondly Mary Hatfield Stockton in the United States, and they likely had nine children; d. 25 Sept. 1843 in Richmond Hill, Upper Canada. As a young man William Jenkins intended to enter the ministry of the Associate Synod of the Secession Church in Scotland, and he attended the University of Edinburgh, though without graduating. He emigrated to the United States about 1800 and continued his theological studies, proving himself an outstanding Greek and Hebrew scholar. He also studied several local Indian languages. In 1807 the Associate Reformed Presbytery of Saratoga licensed him to preach and, presumably soon after, ordained him when he was called as a missionary to a group of Oneidas at Oneida Castle, N.Y. He had apparently served the group previously as a student missionary with the help of an interpreter. Owing to some difficulty with the Northern Missionary Society, Jenkins moved to Upper Canada in 1817, and he bought a farm in Markham Township. In 1819 he joined the Presbytery of the Canadas, an independent Canadian body organized the year before by Robert Easton* and others. Raised in the Secession Church, Jenkins was a committed voluntarist who felt that taking government money was “in some measure a silent approbation of” the union of church and state that was “the cause of many wars, persecutions and unjust measures” throughout Christendom. In 1834 he withdrew from the United Synod of Upper Canada (the successor in the province to the Presbytery of the Canadas) because it accepted such funds. He was admitted in 1837 to the Missionary Presbytery of the Canadas in connection with the United Associate Synod of the Secession Church in Scotland, which had been organized three years before by William Proudfoot* and other Secession Church missionaries and was thoroughly voluntarist. Some of William Jenkins’s correspondence has survived in private hands and is the basis of Mariel Jenkins, “Grace seasoned with salt: a profile of Reverend William Jenkins, 1779–1843,” OH, 51 (1959): 95–104. Short biographies are available in “Memoir of the late Rev. Wm. Jenkins, minister of the United Secession Congregation, Richmond Hill,” Presbyterian Magazine (London, [Ont. ]), 1 (1843): 277–79; in “Sketches from the life of the Rev. 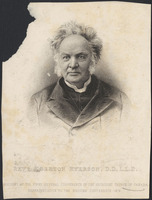 William Jenkins, late of Richmond Hill,” Canadian United Presbyterian Magazine (Toronto), 4 (1857): 321–24; 5 (1858): 136–38; and in “Rev. William Jenkins of Richmond Hill,” ed. A. J. Clark, OH, 27 (1931): 15–76, which also reproduces Jenkins’s marriage register. The UCC-C and the Presbyterian Church in Canada Arch. (Toronto) contain some scattered information, including copies of Jenkins’s letters to his son James. John S. Moir, “JENKINS, WILLIAM,” in Dictionary of Canadian Biography, vol. 7, University of Toronto/Université Laval, 2003–, accessed April 24, 2019, http://www.biographi.ca/en/bio/jenkins_william_7E.html.